KARACHI: Sindh Institute of Urology and Transplantation (SIUT) Department of Infectious Disease on Saturday observed World Tuberculosis Day by oranising awareness programmes in the metropolis at different places, with an aim to create awareness amongst masses about the contiguous debilitating disease and free medical camps were also arranged SIUT centres. 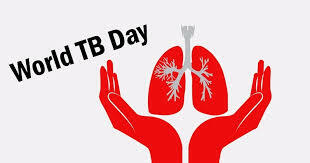 Tuberculosis (TB) is considered as one of the top 10 causes of death worldwide. In 2016, an estimated 10.4 million new cases were reported globally with a mortality of 1.7 million. In Pakistan, during the year of in 2016, it is estimated that 518,000 patients were diagnosed with TB. On this occasion, the SIUT had chalked out an elaborate plan where TB experts of SIUT informed the visitors that Pakistan is included amongst seven countries accounted for 64% of all the new cases reported across the globe. They said Pakistan is also a high burden country for multi-drug resistant TB. Giving educational lecture about the disease, the experts pointed out that TB is an airborne disease, and can be caught by breathing and coughing in the air contaminated by an infected person. Symptoms include a lasting cough, fatigue, coughing up blood, chest pain, sweating at night, fever, loss of appetite, and weight loss. It can affect any organ of the body. They said that the basic aim of organising this event is to raise mass awareness about TB in terms of its sign & symptoms, spread, treatment and most importantly to highlight its preventive measures. There were free medical checkups & consultations, dietary and nutritional pieces of advice, distribution of educational literature on TB, viewing of disease educational videos, an exhibition of informative posters and banners and interactive sessions between SIUT medical staff members with the audience. The SIUT experts included infectious diseases specialists Dr Asma Nasim, Dr Sunil Dodani and Dr Zaheer-uddin Baber, Pulmonologist Dr Masroor Afridi, dietician Ms Kehkashan and other related medical staff. A large number of people from all walks of life attended the event.